my family came to Moab! One of my favorite things in the world is connecting people to people or connecting people to places. I don't care where I am, if people I love are hanging out with each other I feel so warm and fuzzy. The same thing goes for people I love being in places I love. When a friend of mine goes to Yosemite, I feel like a part of me is in the valley and I feel so psyched knowing they're experiencing it's magic! That being said, you can only imagine the joy I felt when my ENTIRE family (minus Conner's girlfriend Cass - we missed you Cass!!) came to Moab. Oh my goodness. I think I said "It's so crazy y'all are here!!" 100 times in the course of four days. 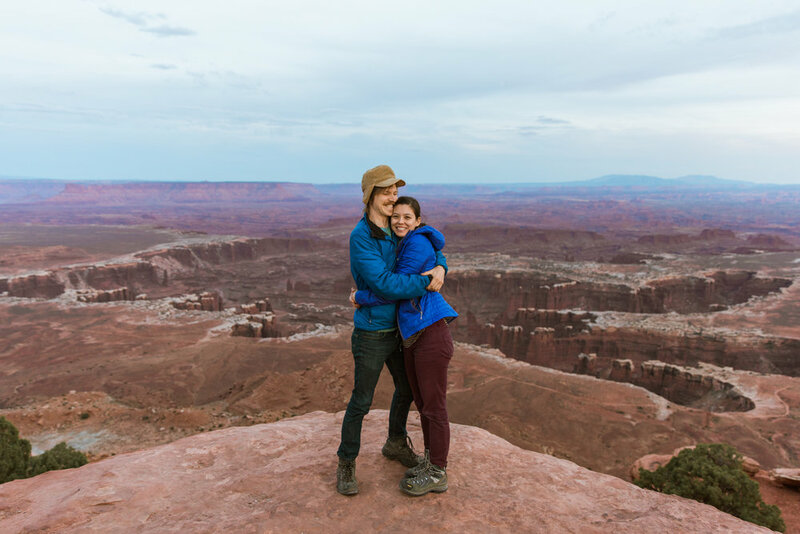 We had been showing them photos and telling them stories for over a year and it was finally time for them to experience the amazingness of the Moab desert. While we really needed about 5 (100?) 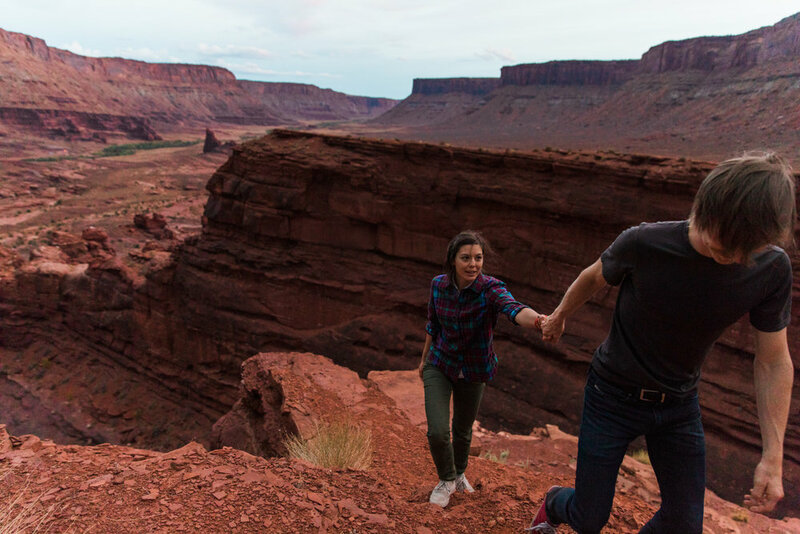 years to show them all Moab has to offer (hello, why do you think we semi-moved here?! 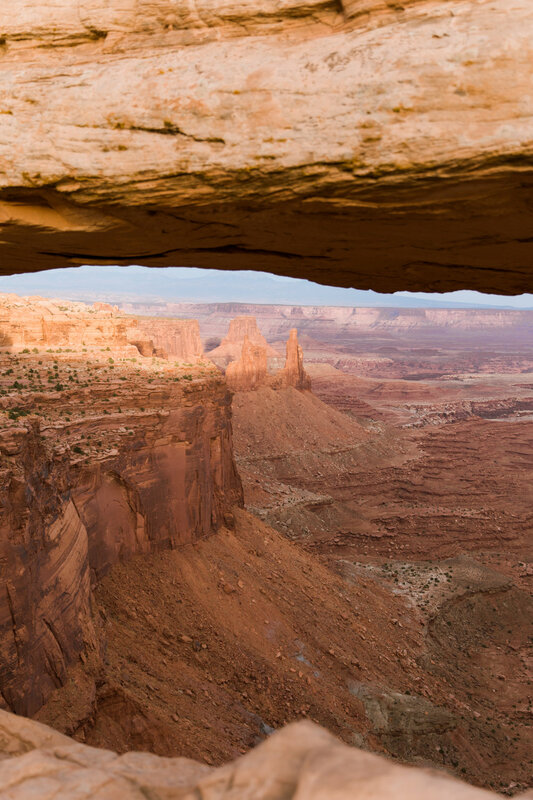 ), I think we did a pretty incredible job giving them a taste of the utah canyonlands in just 4 days. They pretty much got a huge gulp of Moab within two hours of arriving because they rolled in on Andy's birthday sometime between the rock climbing and the BASE jumping portion of the day. My brother Ben and his girlfriend Amelia were the first to arrive (they drove from Oregon!) so they met us at Andy's house for some tree-net hangs and to meet a few of the monkeys. Then we met the rest of the fam (Mom, Dad, brother Conner - they drove from Austin!) and informed them we'd be heading to the tombstone in an hour to watch some BASE jumps and off-site skydives! The jumps did not disappoint. It was such a privilege to get to have my family there for such a crazy moment - and that was just day 1! 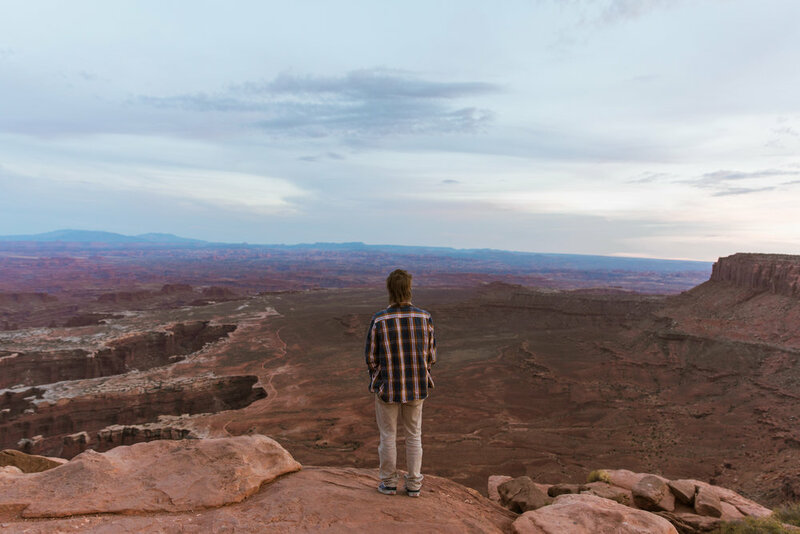 The following day we hit up the National Parks (Arches and Canyonlands) for some hiking and sunset-watching. Seeing both parks definitely gave them a good perspective to the vast amounts of sandstone and the crazy diversity in landscape. The next day, Ben, Conner and Amelia headed to another section of Canyonlands for a hike while my parents hung back with Callen and I for some good old car-hiking on one of our favorite dirt roads in town. We ended up parking at a random wash and hiking up a canyon for a bit. 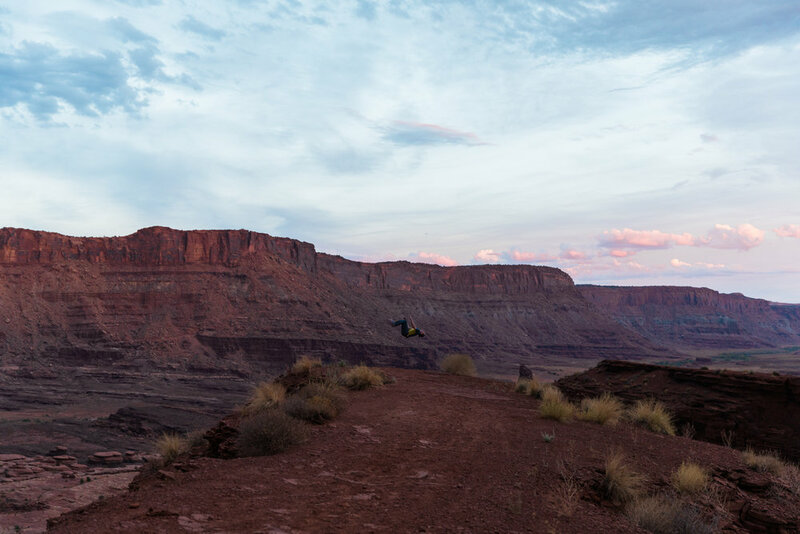 It was fun for them to see what a typical day looks like for us in Moab :) The next day was what I was looking forward to the most - my brothers and Amelia we're all doing their first skydives! They did tandems (where you jump attached to an instructor) and I did a solo. I got to ride up with Conner and jump out a few seconds before him. It was so fun to share this amazing sport with my people! I also loved that they got to meet our skydiving friends and spend some time with them. 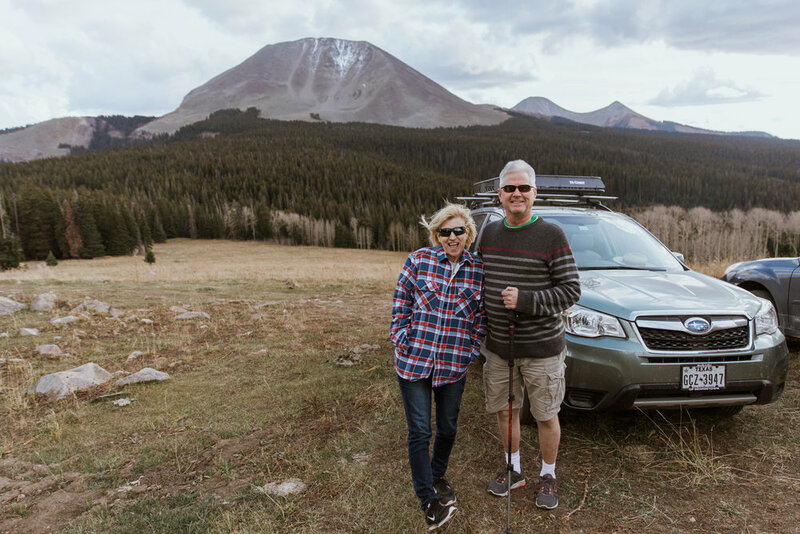 After that, we drove to Porcupine Rim to look out at Castleton (both of my brothers are climbers so it was cool for them to see the iconic tower), then drove up into the La Sals to our favorite little meadow for lunch. It was super windy and chilly up there but we had fun running around with Charlie and my dad got to take his new Subaru on some semi-technical dirt roads :) We finished the day with an exciting drive up one of our favorite canyons to a gorgeous overlook just in time for sunset (I insisted on spending sunset somewhere amazing every day!). On their final day, we did some easy climbing before saying goodbye to the Austin-bound side of the family. 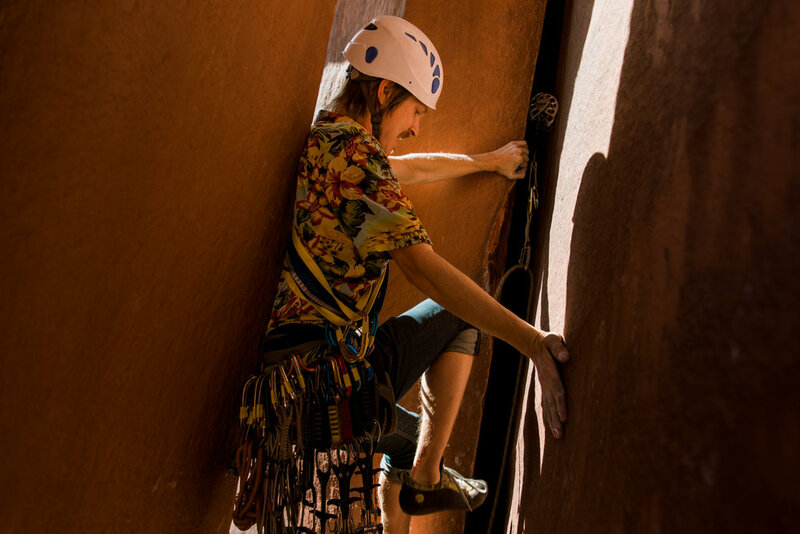 Ben and Amelia stay one more night so we went out to Looking Glass for a fun climb (my first multi-pitch!) and huge free-hanging rappel. 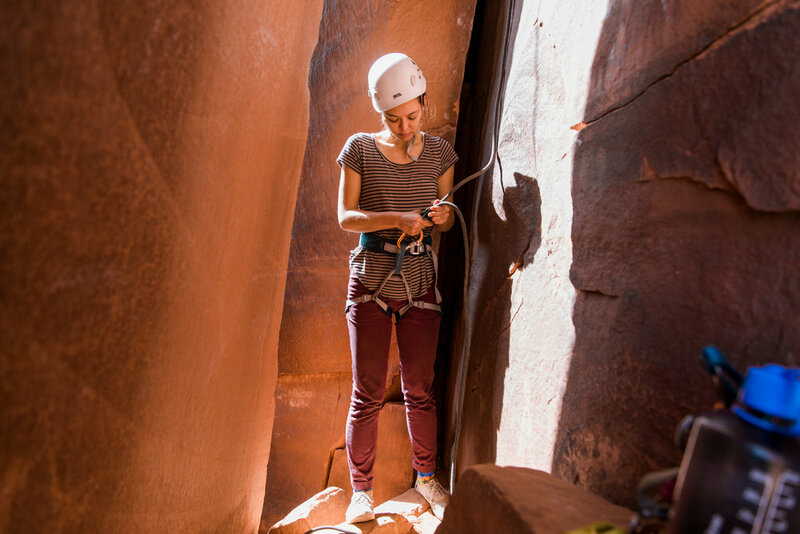 We ended up rappelling at night which was probably good because I couldn't see how scary it was ;) On Ben and Amelia's last day we brought them out to Indian Creek for some classic Moab climbing and we all four sent a super fun and very challenging (for me at least) chimney route! It was the perfect end to such an amazing trip.